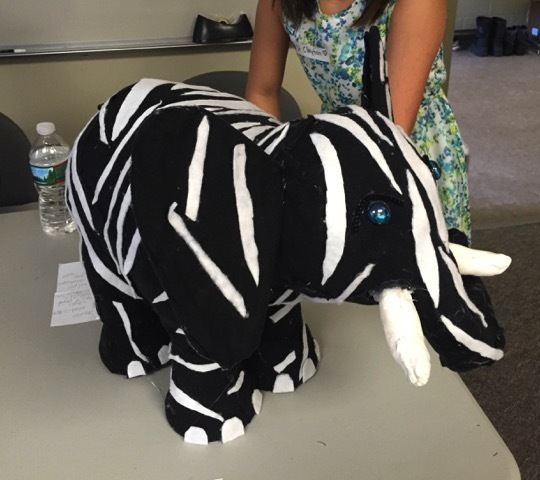 The 5th graders at the Lyme School have spent the past couple months learning about adaptations and different habitats and were tasked with creating a creature well-suited to a given environment. They have worked enthusiastically to research a habitat, to understand the challenges it poses to survival, and to create a species that has special structural and behavioral adaptations well-suited to their assigned environment. The students are honing their research and writing skills, life science knowledge, observational skills, creativity, time management skills, and much more, while collaborating with a group of fellow 5th grade scientists. I am looking for volunteers with a background in Biological and/or Ecological sciences to become members of a "Genetic Review Board" that will interview/evaluate 5th graders based on their work "discovering" a new species of animal. You will be asked to talk with students about their creation and fill out a checklist evaluation about their work based on your conversation with them. This is the 4th year the 5th graders have participated in this project, and so far it has been an incredibly fun and rewarding experience for them to share their work with real scientists. If you, or any of your colleagues/friends, would be interested or willing to be a part of this project we would be very honored. Please contact Amanda Burns at aburns@lymeschool.org for more information. I am looking for volunteers on May 9th from 12:45-1:45pm.